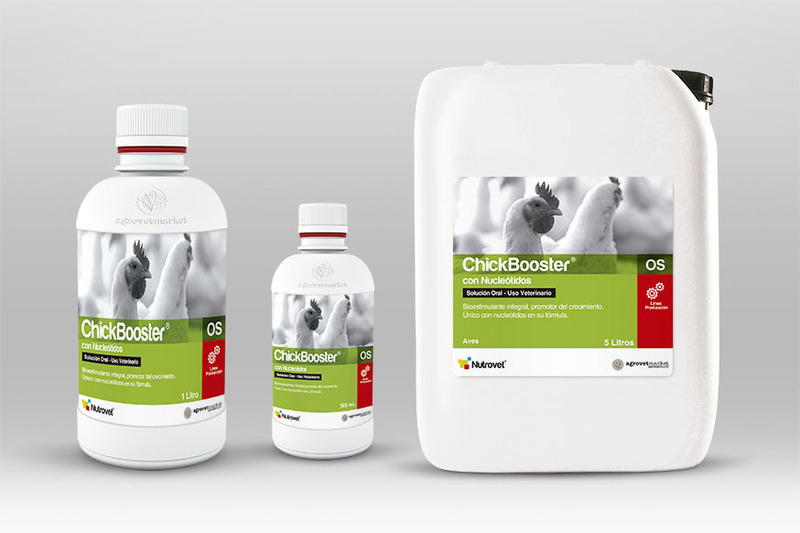 Complete Bioestimulant in Balanced Fomula based on Vitamins, Amino acids, Minerals, Electrolytes and Essential Fatty Acids. SENASA Registry : SENASA Perú:A.16.01.N.0110. Each 1000 mL contains: Vit. A (as retinol palmitate) 2 500 000 UI, Vit. D3 (as cholecalcipherol) 500 000 UI, Vit. E (as alpha tocopherol acetate) 3750 mg, Vit. K3 (as menadione sodium bisulphite) 250 mg, Vit. B1 (as thiamin hydrochloride) 3500 mg, Vit. B2 (as riboflavin 5 sodium phosphate) 4000 mg, Vit. B3 (as nicotinamide) 10 000 mg, Vit. B5 (as calcium pantotenate) 15 000 mg, Vit. B6 (as pyridoxine hydrochloride) 2000 mg, Vit. B7 (Biotin) 2 mg, Vit. B9 (as folic acid) 250 mg, Vit. B12 (cyanocobalamine) 10 mg, Vit. B15 (Sodium Pangamate) 1 mg, Vit. BH (as Inositol) 3.0 mg, DL-Methionine 5000 mg, L-Lysine (as hydrochloride) 2500 mg, L-Threonine 500 mg, L-Tryptophan 75 mg, L-Histidine (as hydrochloride) 900 mg, L-Arginine (as hydrochloride) 490 mg, L- aspartic acid 1450 mg, L-Serine 680 mg, Glutamic acid 1160 mg, L-Proline 510 mg, Glycine 575 mg, L-Alanine 975 mg, L-Cysteine (as hydrochloride) 150 mg, L-Valine 1100 mg, L-Leucine 1150 mg, L-Isoleucine 125 mg, L-Tyrosine 340 mg, L-Phenylalanine 810 mg, Nucleotides 5000 mg, Essential fatty acids 500 mg, Sodium Selenite 125 mg, Potassium iodine 500 mg, Cobalt (as Cobalt Gluconate) 500 mg, Copper (as copper edetate) 200 mg, Manganese (as Manganese-edetate) 1000 mg, Zinc (as Zinc-edetate) 3000 mg, Iron (as Iron-edetate) 210 mg, Sodium chloride 10 000 mg, Potassium chloride 8250 mg, Magnesium sulfate 455 mg, Citric acid 3000 mg, excipients q.s. ad 1000 mL. Nutritional supplement recommended as growth promoter and as an adjuvant in all infectious diseases, poisoning, convalescence, sudden changes in temperature, pre and post-vaccination, dehydration and stressful situations. When there is insufficient supply of vitamins in feed. 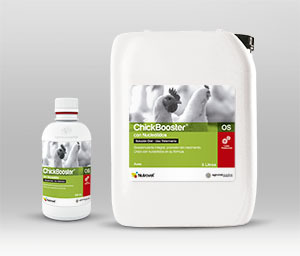 Its exclusive formulation based on nucleotides, promotes cell division and regeneration, optimizes biological functions and enhances the productive performance by improving feed conversion. General dose: 1 to 2 L/1000 L of water.